Great Classic Story of a very complicated woman!....Olive Kitteridge is a character you will never forget...like her or not!! Not an easy story to follow, but worth it. We all know someone like Olive Kitteridge and we all have her inside of us. I loved her husband, kind, thoughtful and how he knew Olive. All the stories were interesting and thought provoking. This has to be one of my all time favorite books. 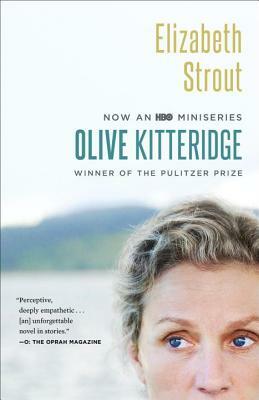 Olive Kitteridge is a novel cleverly crafted out of a series of short stories by Elizabeth Strout. With Olive herself making an appearance in each story, whether as a major or minor character, she is the thread linking all the stories together. With extreme detail and careful description, the reader really gets a sense of the people of Crosby and the town itself, even though these details are spread across stories and span a significant amount of time. It's one of those books that you can wait to finish, but as soon as you turn the last page, you wish it would never end.